All charities and voluntary organisations are required to have their accounts checked by somebody independent from the organisation to ensure that their finances are managed properly. 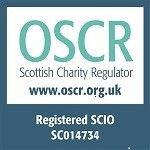 All registered charities are required to file their accounts along with their annual return to OSCR (Office of the Scottish Charity Regulator). Stewartry CVS can carry out the examination of accounts as well as preparing them in the correct format. We can also assist with financial management and bookkeeping. The Manager is an Associate member of ACIE (Association of Charity Independent Examiners).